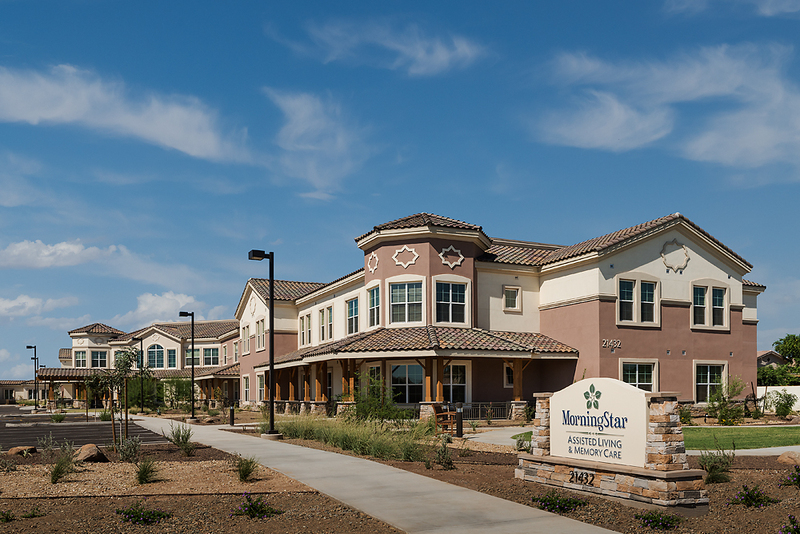 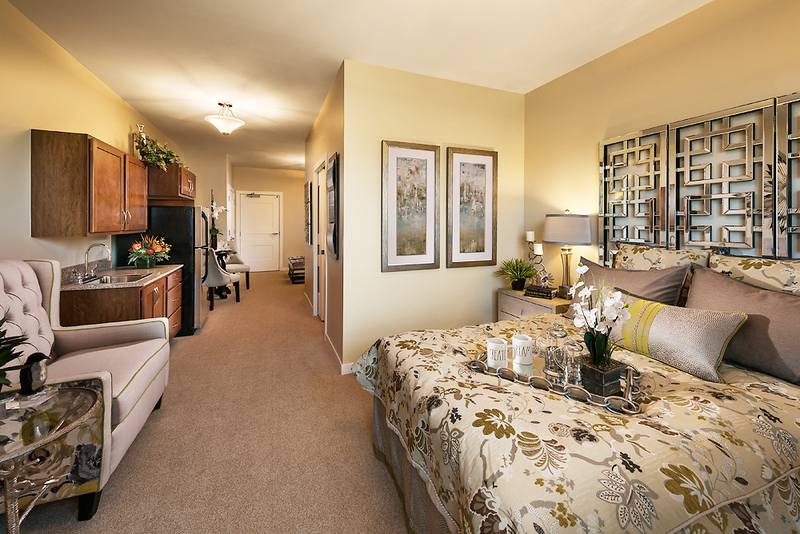 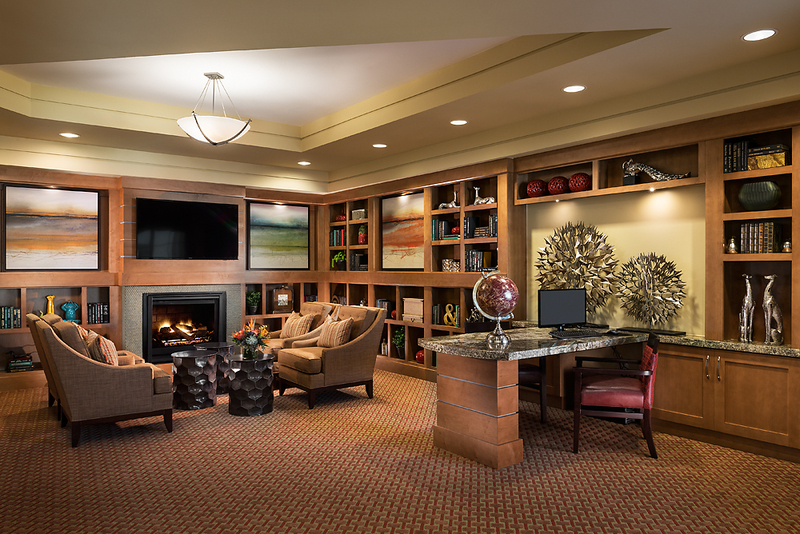 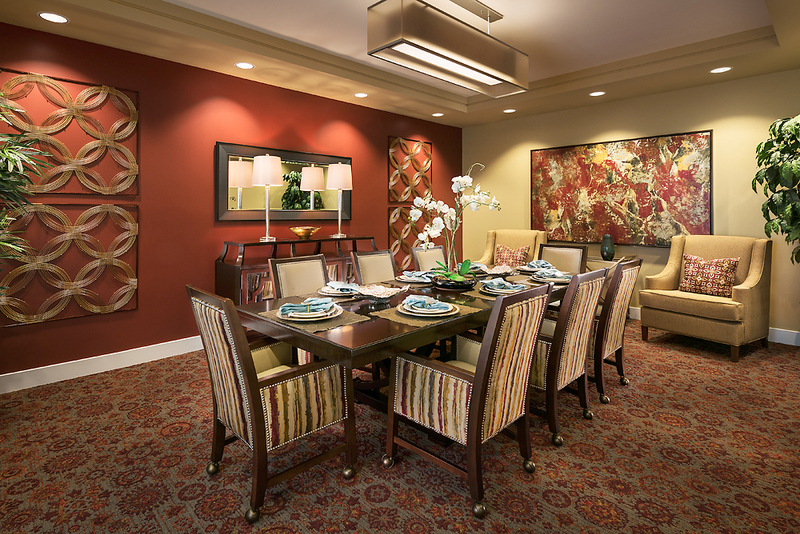 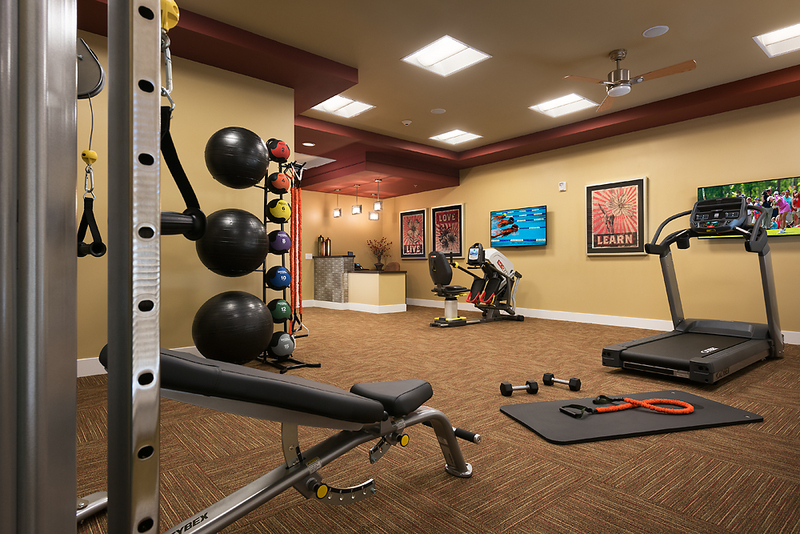 As evidenced from the photo gallery below, MorningStar at Arrowhead offer seniors comfort, wellness, and community with an array of amenities, making us the finest in retirement communities Peoria AZ and the surrounding area has to offer. 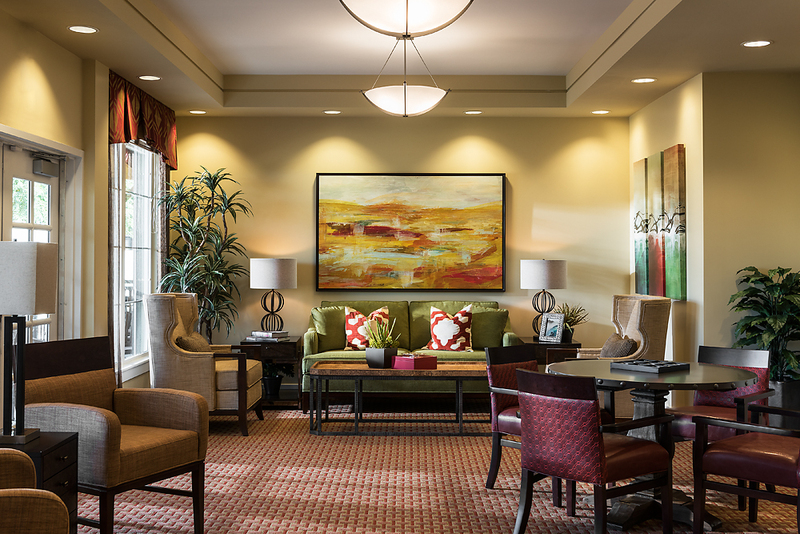 Conveniently located in north Glendale near Peoria, Arrowhead’s interior design is a credit to the award-winning Phoenix firm of Thoma-Holec, offering a welcoming atmosphere which is at once a gracious residential home and high-end resort. 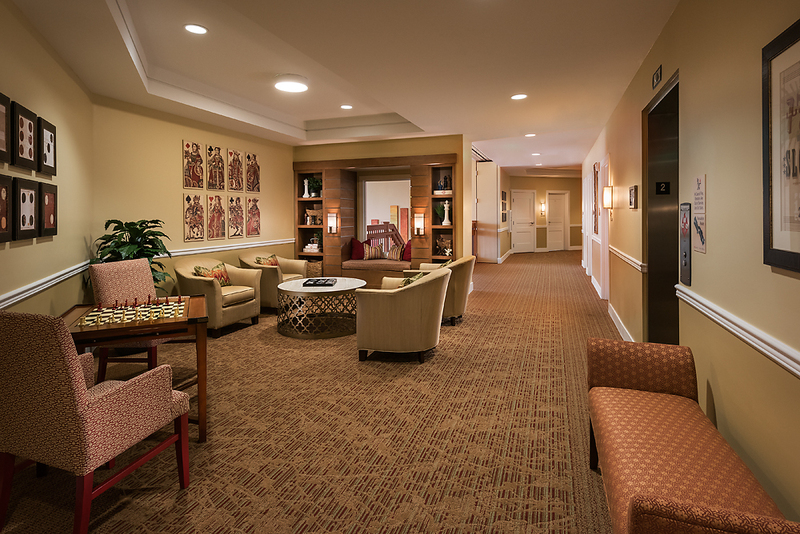 With 60 private assisted living suites on two levels, you have a choice of studio, one-bedroom and two-bedroom floor plans. 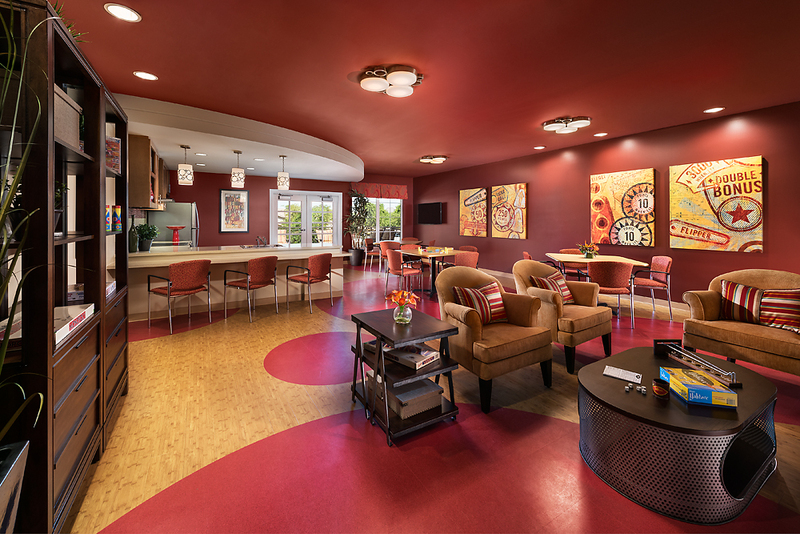 Our Reflection Neighborhood has 25 secure suites devoted to the personalized care of those with Alzheimer’s and other forms of dementia. 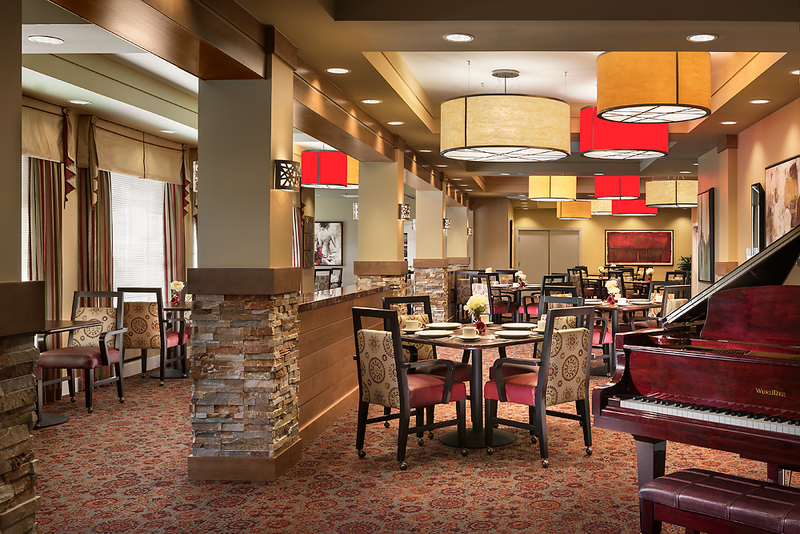 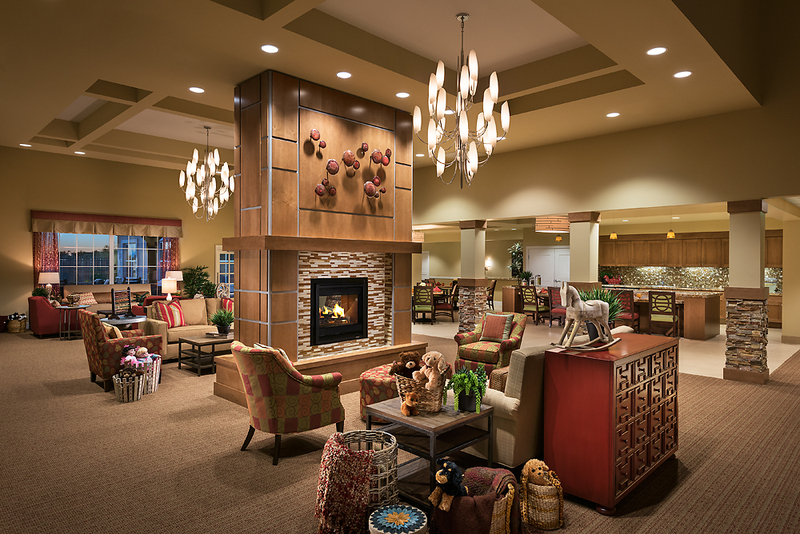 Offering a wealth of resort-style amenities, a loving, responsive staff, 24-hour care and a full-time licensed nurse, MorningStar at Arrowhead represents the best assisted living in Peoria and Glendale. 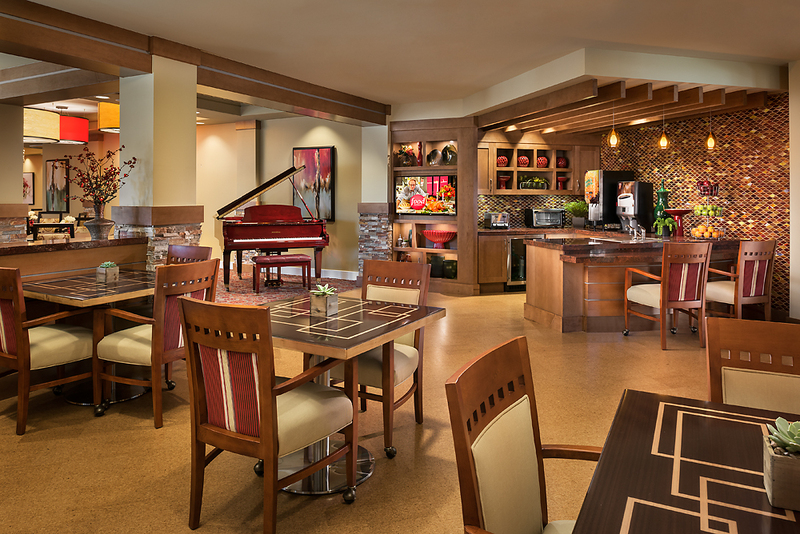 Residents are treated to delicious, healthy meals prepared by our Executive Chef, served restaurant-style in our bright, airy dining room. 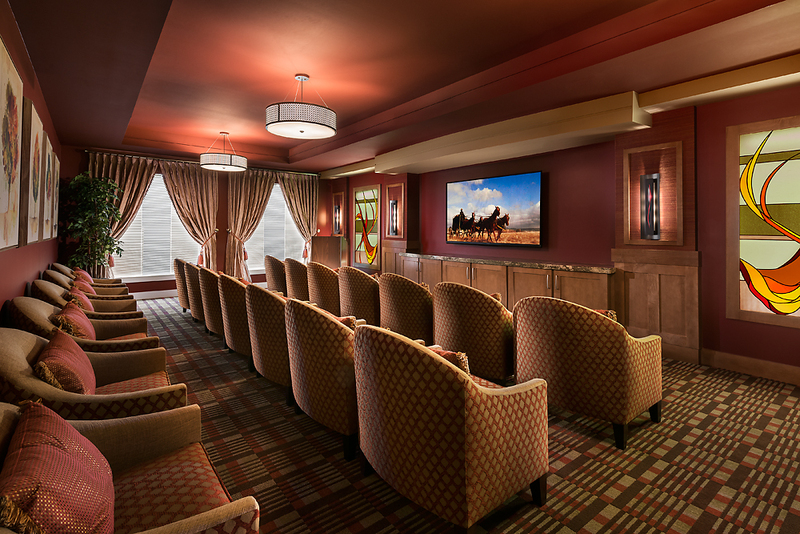 We also have our own theatre, chapel and a library equipped with a computer. 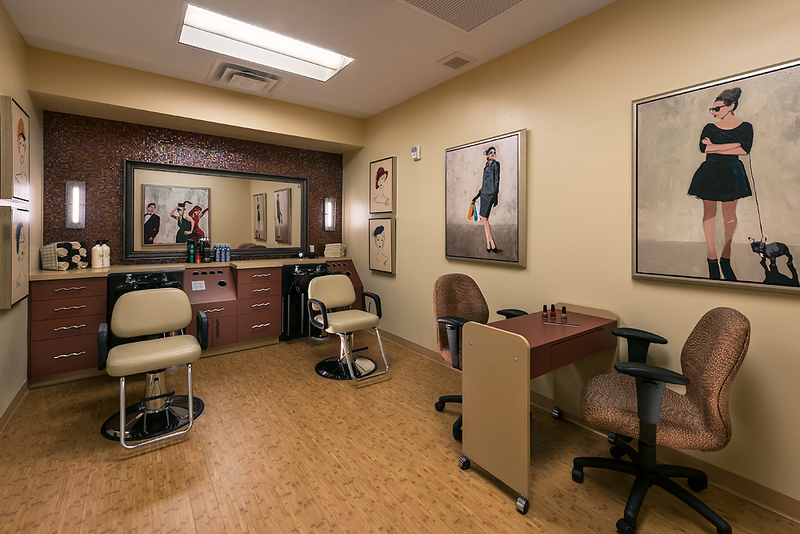 Other onsite amenities include a spa bath, a full salon offering hairstyling, manicures and pedicures; massage room; and fitness center. 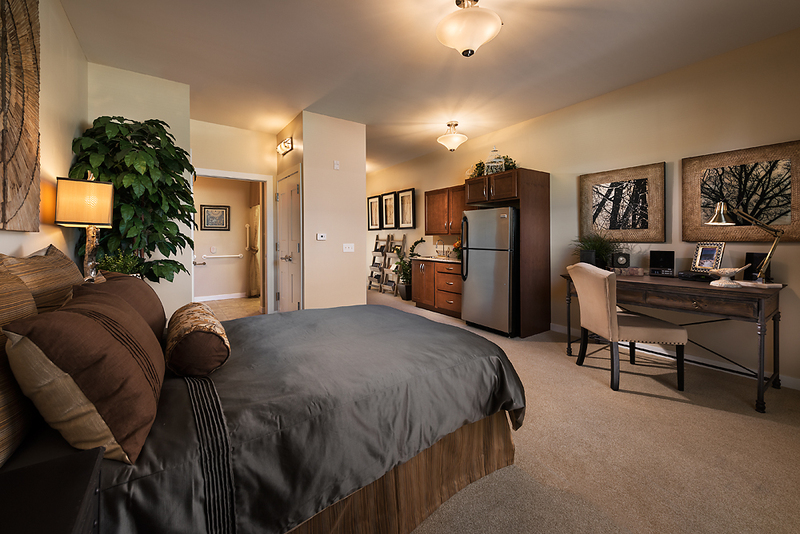 We also provide scheduled transportation and day trips to local malls, parks, museums and restaurants. 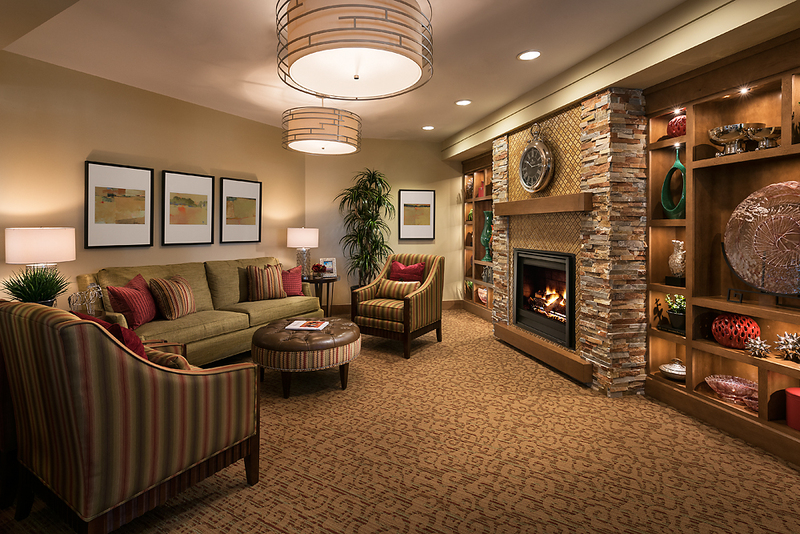 While these photo images convey some of our beauty, they cannot convey the full essence of our community. 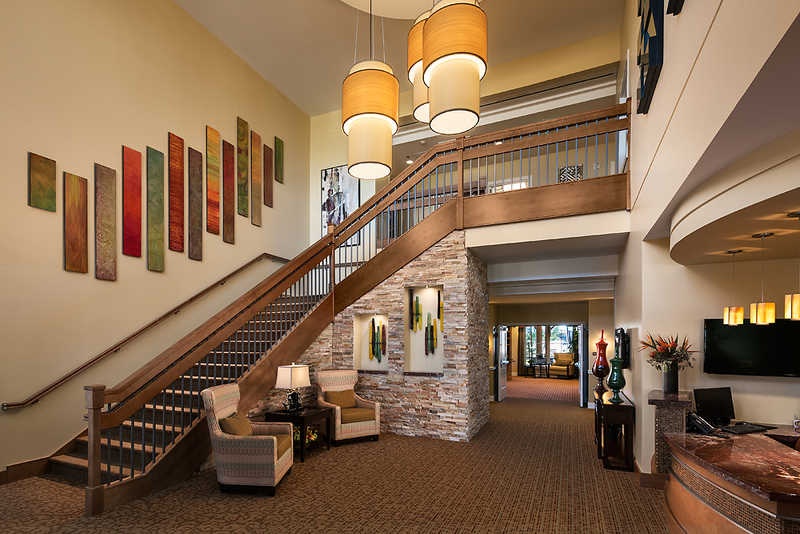 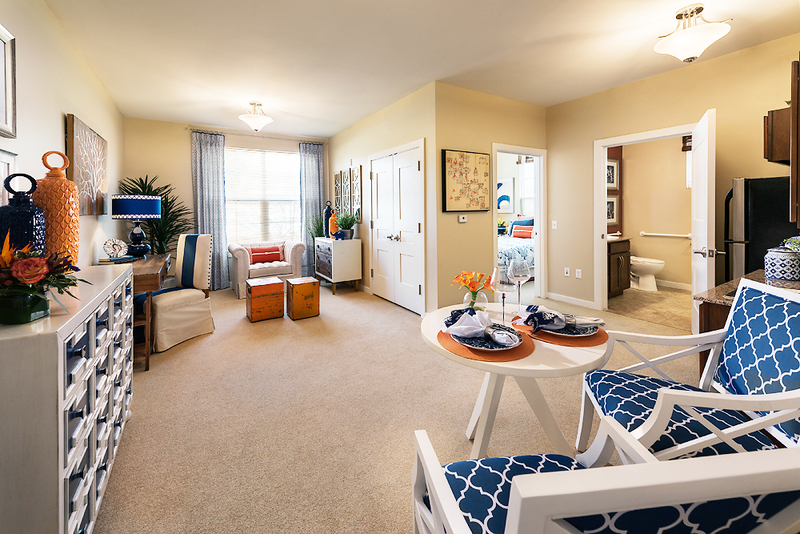 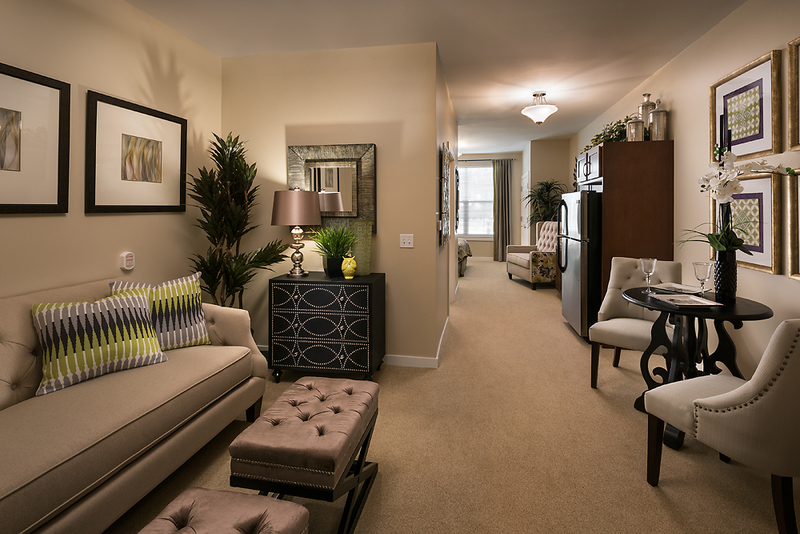 We encourage families to schedule a tour, and see for yourself why residents are proud to call MorningStar home. 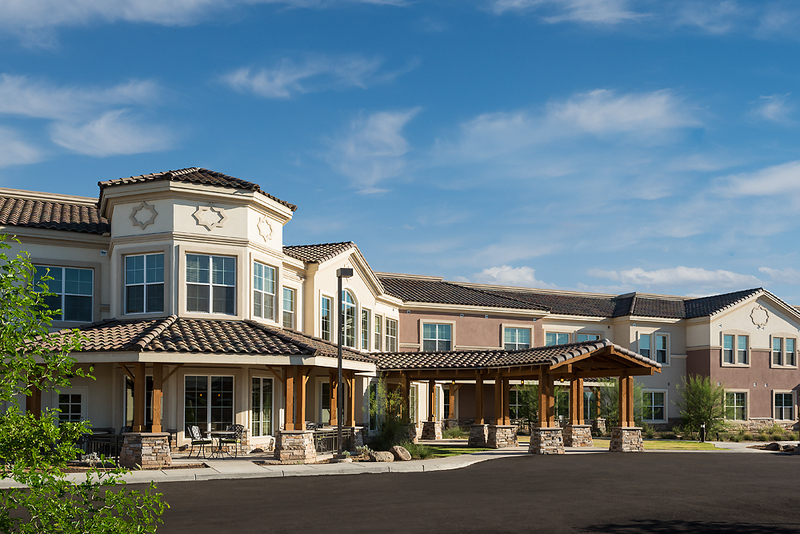 MorningStar at Arrowhead represents the best in senior living with a unique mission statement “to honor, to serve, to invest.” We have built our foundation on honoring God, valuing all seniors and selecting staff with a felt calling to serve. 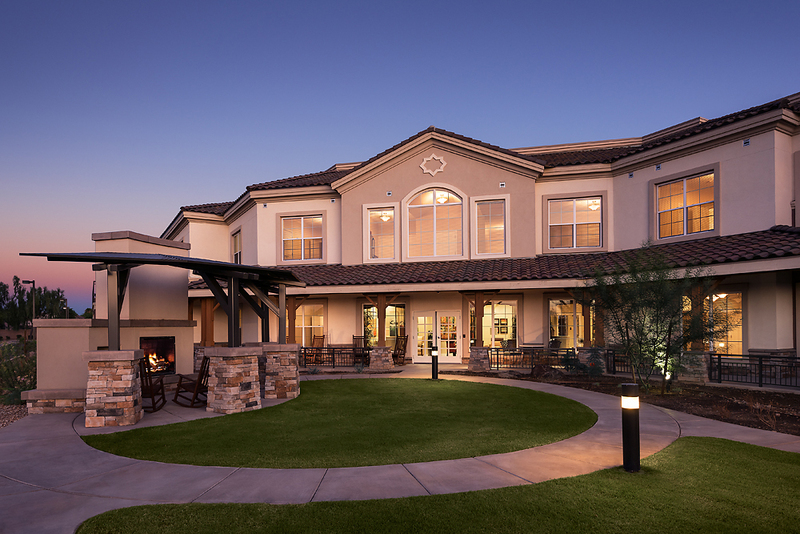 We invite you to schedule a tour of one of the most trusted retirement communities Peoria AZ and the surrounding area has to offer.